Adam Heller & Tom Souhrada in "Popcorn Falls"
James Hindman's new off-Broadway comedy Popcorn Falls will conclude its run at the Davenport Theatre on November 25. Two-time Tony winner Christian Borle makes his directorial debut with the production, which began performances on September 14 and officially opened on October 8. By closing, Popcorn Falls will have played 28 previews and 56 regular performances. The play is set in the small American town of Popcorn Falls, whose only claim to fame, its namesake waterfall, has dried up. Now bankrupt, the town's last chance is a large grant that can only be used if the town produces a play in a week. But there's one big problem: no playhouse and no play. Led by the mayor and the local handyman, the townspeople try to rise to the challenge and prove that art can change the world. Popcorn Falls stars Broadway alums Tom Souhrada (Mary Poppins) and Adam Heller (It Shoulda Been You). The production features scenic design by Timothy Mackabee, lighting design by Jeff Croiter, costume design by Joseph La Corte and original music by Jeffrey Lodin. 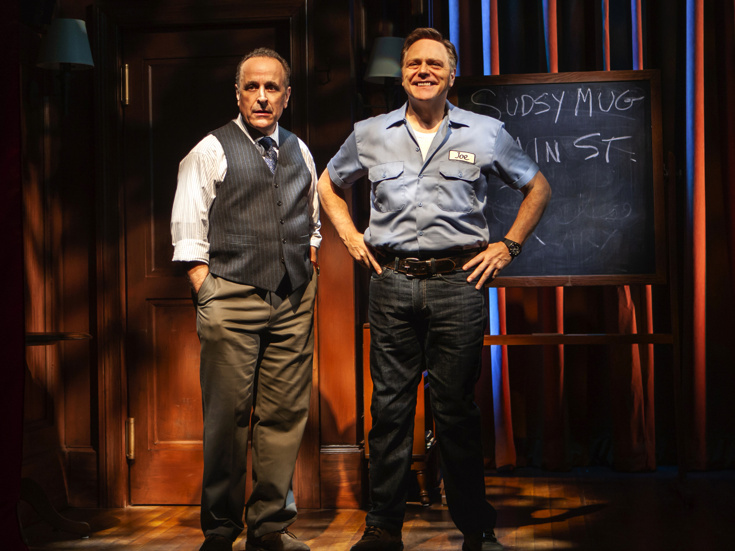 The off-Broadway production was originally announced to play a limited engagement through January 6, 2019.